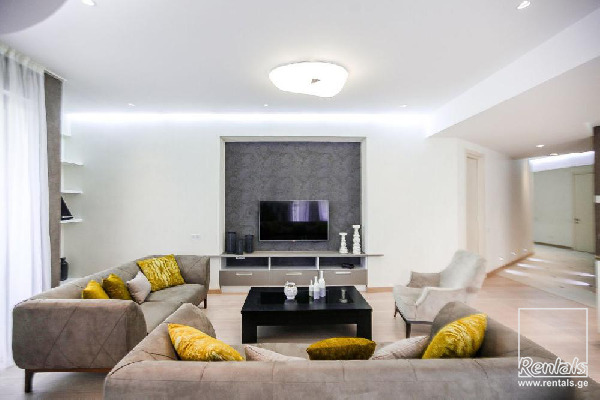 The 203 m2, 3 bedroom apartment is located on the fourth floor of one of the most expensive buildings close to Rustaveli Avenue. Every bedroom has an en-suite bathroom. The fully equipped kitchen is nicely combined in the living area There are lot of closets and storage spaces in the apartment. A fitness club is just to be completed in the compound.